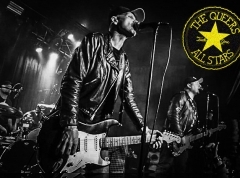 It is no big secret that Danish metalheads love their death, groove and thrash metal and as a result, like a vicious circle, those are the three genres that prevail among both old and new metal bands in Denmark. 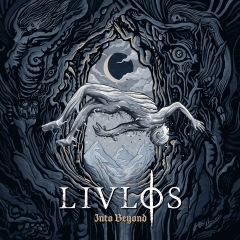 With so much saturation, it thus becomes vital that practitioners of the style (which is often referred to simply as ‘Danish metal’ — a generic term of a generic genre) find some way to distinguish themselves from the pack, and it must be said that on its début album, “Into Beyond”, Livløs has managed to do just that, at least to a satisfactory degree. The Århusian quintet is helmed by a rising star in Simon Olsen, whom most people will recognise as the hyper-energetic vocalist of the death metal band BAEST, and that fact alone generates high expectations, but as the record pans out, it becomes obvious that Livløs has much more to offer than the hype surrounding their vocalist. 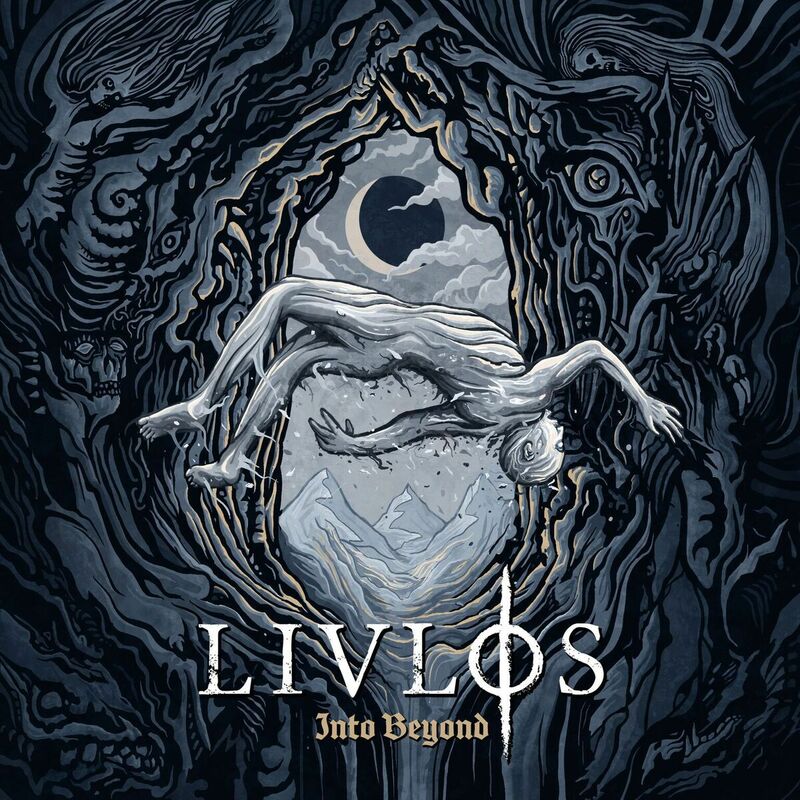 Livløs wears its influences proudly on the sleeve, with the likes of DevilDriver, Lamb of God and The Haunted all readily audible in the groovy, hard-hitting, yet also melodic style with which the listener is presented on the opening track, “Blood & Despair”. The dark and despairing tone of its chorus is a recurring theme across the album, reflecting well the concepts of life death and the meaning of it all that define Olsen’s lyricism, which is clearly marked by the passing of bassist Søren Frambo’s little brother during the writing process. It is therefore not that surprising that both the lead melody and atmosphere of “Blood & Despair” bear an uncanny resemblance to Lamb of God’s song “512”, which of course recounts the emotional turmoil that Randy Blythe went through in Czech prison on charges of involuntary manslaughter in 2012. The track delivers a powerful start to the album, capturing the listener’s attention immediately and cementing itself as an early highlight. But it is not until the third cut, “The Sleepless”, that the true potential of Livløs is uncovered as the band sinks its teeth into the Black Dahlia Murder’s repertoire and serves up a wicked staccato riff, which morphs and evolves into an eerie, ringing melody in the chorus and finally culminates in a grief-stricken climax at the end. The frustrating thing is that in being such a fine piece of metal, “The Sleepless” only exacerbates the anonymity from which a number of the other songs suffer, however. There is no question that Livløs are able musicians as well as songsmiths, as the titular track further underlines. It features a cameo by Bersærk’s vocalist Casper Roland Popp sung entirely in Danish, and his powerful voice instantly adds another dimension to Livløs’ music, which is otherwise characterised by a mixture of deep growls and higher-pitch screams by Olsen — much in the vein of the aforementioned Black Dahlia Murder’s Trevor Strnad. The cameo only happens near the end of the piece though, and I am certain that I am not the only critic in the world to point out that Popp should have featured in the choruses of an otherwise not very poignant song, too, in order to really bring out those underlying melodies with his cleaner style of vocalisation. But while Popp certainly helps the title track to stand out, it is the last of such moments before “Noctum” brings the record to a conclusion in old-school At the Gates-y fashion. Livløs do their damnedest to avoid the pitfalls that so many of their countrymen stumble into, but somehow the quintet still manages to churn out the same sort of dime-a-dozen drivel here and there. Chances are that you will scarcely even notice the likes of “Sickest of Seeds” and “Before the Flood” as they pass during the record’s second half, which reduces them into little else than filler designed to turn an extremely potent EP into a full-length album. Nevertheless, “Into Beyond” keeps a sufficiently high standard throughout to be considered as one of the better ‘Danish metal’ releases of recent years. But if the band hopes to stage a genuine breakthrough, they need to focus on their strengths and leave the rest out.